Richard Morris was an inveterate collector of guide books, particularly of places of architectural note. Jenny has so many of them that she is offering them to Members of the Society for free. Tonight you will find another batch. We suggest that you take what you want (no fighting!) and make a donation. Monies will be shared between the Harry Sunley Memorial Project and Myton Hospice. Please – they must go! » Last Meeting: was the AGM. All officers and committee members were (re)elected, and one new committee member, Sue Martin, was elected to take the place of Sue Tyler who had proffered her resignation. After the formal meeting, our Webmaster, Chris Blunt, spoke about “KHAS on the Web”. He surprised us with his account of how popular the site was and how many and what sort of people were accessing it! » Next month: Dr Sylvia Pinches will give us an account of Maria Home, housekeeper to the Earls of Warwick. April 10th, at the usual time of 7.30 for 7.45 at the Senior Citizens’ Club. Our August outing will take place on Saturday 19th August when we will be visiting three very lovely churches – Halford, Tredington and Honington. More details next month, when those interested will also be able to ‘sign up’. » Kenilworth Family History Society Wednesday, 12th April. Annual Business Meeting, to be followed by short talks by members on aspects of their family history research. Senior Citizens’ Club, Abbey End, Kenilworth, CV8 1QJ, from 7.30. Nonmembers welcome. One of the suggestions for a walkabout this year includes spending some time at the Fire Station in School Lane, on the site of the primary school. The Kenilworth Volunteer Fire Brigade served the time admirably over the years. 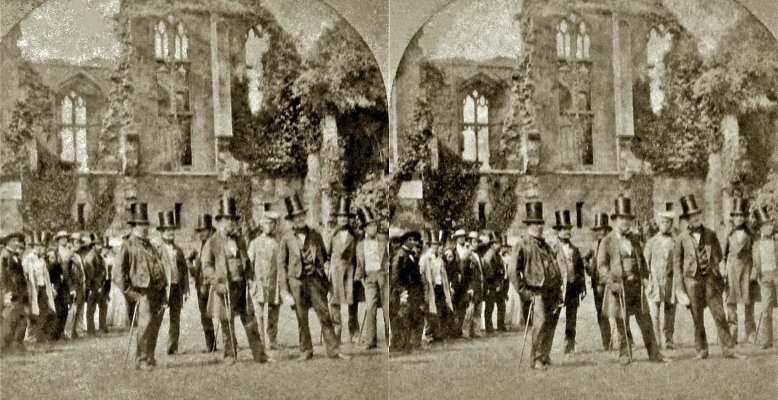 Part of its success was the cameraderie of its members. 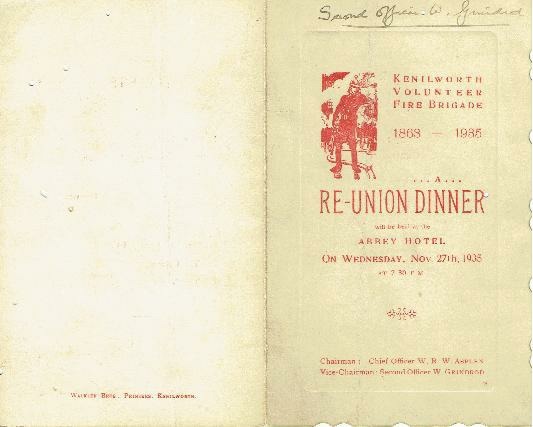 Cementing that was meeting for a communal meal – as is shown here in the Re-union Dinner of November 1935. It is sobering to think of the situation in Kenilworth just five years later. 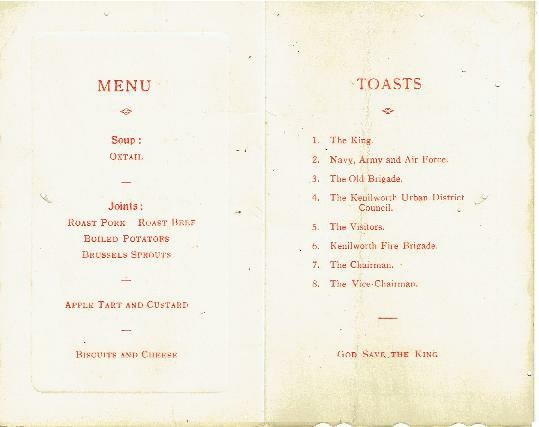 The table cards for that dinner are shown below.